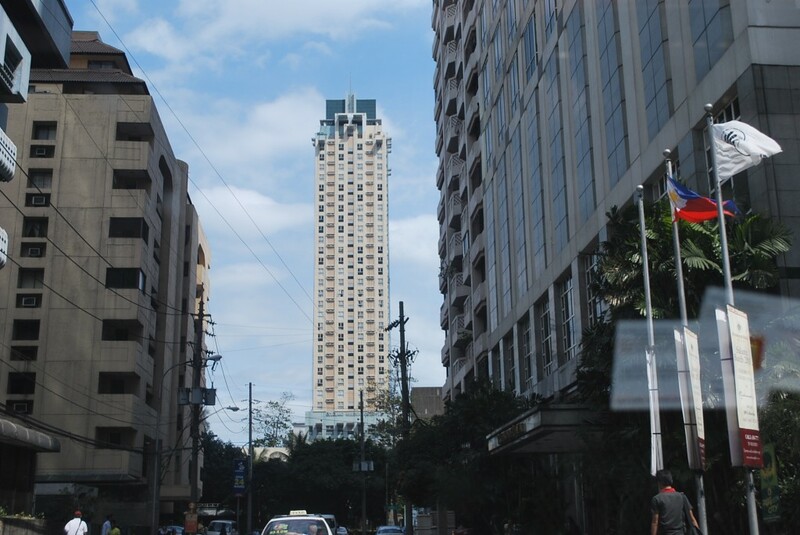 Ortigas Condominium- Millenia Tower by Goldland -[near University of Asia and the Pacific (UA&P), formerly Center for Research and Communications (CRC)], along Escriva Drive Ortigas Center. This shot was taken along Lourdes Street on the way to Millenia Tower Condominium. Area: 18.82 to 24.10 sq. m.
Area: 33.9 to 41.74 sq. 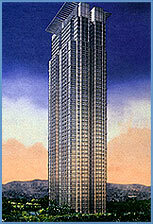 m.
First-class High-Rise Residential Condominium-Hotel Project, the MILLENIA TOWER. It is located along Saint Escriva Drive (formerly Amber Avenue), Ortigas Center, Pasig City, fronting the UNIVERSITY OF ASIA & THE PACIFIC. It is walking distance to the hospital, offices, hotels, restaurants & malls such a SHANGRI-LA EDSA PLAZA MALL & HOTEL, and SM MEGAMALL. The location will allow you to enjoy the “Panoramic views of the East Mountains (Antipolo) and Ortigas Skyline”. MILLENIA TOWER is a first-class 33-storey Condominium-Hotel Project of GOLDLAND PROPERTIES & DEVELOPMENT CORPORATION that offers quality Studio suites, 1 bedroom & 2 bedroom units, all to be delivered as fully finished. Each unit has a first class kitchen fixture with cabinet and provision for exhaust duct system, complete fixtures for toilet and bath with exhaust fan and provision for instantaneous water heater, imported laminated wood flooring and built-in closets. You have a choice from the above units depending on the space that suits your lifestyle. It provides complete facilities and amenities such as Viewing deck, Badminton court, Jogging path, Swimming pool, Gym & Fitness center, Function rooms, Owner’s lounge, Game room & Billiard room. Millenia Tower is already completed and Ready for occupancy. It is a project innovated to exceed the expectations of an altenative home…location, space, qualtiy and price”. Whether home, rental, or resale, the MILLENIA TOWER marks “high value for less”. RENTALS of STUDIO UNITS at Millenia Tower in Ortigas Center, usually for students of UA&P, start at P15,000/month for bare units and P18,000/month for furnished studio units. Call directly at 0917.822-5798 0922.822-5798 or 994.8103. Renaissance 3000 Bargain @ Ortigas! Must sell!